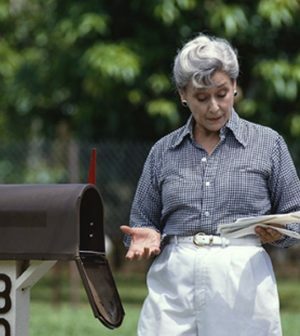 Home > Cancer > Could the U.S. Mail Deliver Better Colon Cancer Screening Rates? “We believe that mailing kits directly to patients, which frames participation as the default, reduced steps in the screening process, making it easier for patients to get screened and catch colorectal cancer earlier or even potentially prevent it from occurring,” said study senior author Dr. Chyke Doubeni. He is a professor at Penn Medicine in Philadelphia. Colon cancer is the second leading cause of cancer death in the United States. But only six of 10 adults aged 50 to 75 — the recommended age range for routine screening — were screened in 2015. This study included nearly 900 patients who were overdue for colon cancer screenings. That meant they hadn’t had a colonoscopy in 10 years, a flexible sigmoidoscopy in five years, or stool testing in the last year.